OK, you missed your chance to whisk your girlfriend to Milan for $400 for Valentine’s Day. But there’s still time to whisk her away on a private jet ride somewhere in the US, Bahamas, or Canada without breaking the bank. 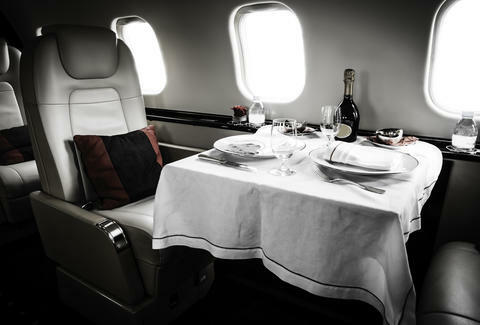 Private jet charter Jetsmarter is offering dirt-cheap empty leg flights to non-members on February 14th as part of a new promotion. Because a ride in a jet is certainly sexier than a box of bonbons -- and it'll get you a helluva lot closer to the Mile High Club, too. Here's the catch: for a chance to win your ride before the contest ends on February 14th, you'll have to follow Jetsmarter on Facebook, Twitter, and Instagram (yep, you’ll have to sell out on social media), download the company’s app here, and add your current location as well as all the cities within the US, Bahamas, and Canada you’d like to fly to under “Frequent Locations” in “My Settings” -- that way, nearer the time, you’ll hear about matching flights. Examples of empty leg flights, which depart as frequently as every 15 minutes, include Miami to New York, Los Angeles to Las Vegas, and Chicago to Aspen. And once you book, you’ll need to pay a US tax fee of $4 per person. But still, that’s Valentine’s Day sorted for less than the price of two Big Macs! Chloe Pantazi is an editorial assistant on Thrillist's travel team. She's really hoping her boyfriend sees this. Follow her on Twitter at @ChloePantazi.